Samma's Studio Lockdown: Happy Easter! Hope ya'all have a very Happy Easter. I have always found the Ukrainian and Polish Easter eggs totally fascinating. 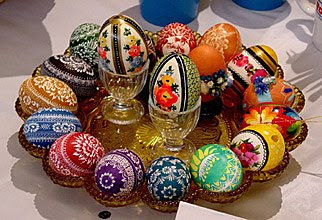 If you do a google search under images of Ukrainian eggs you will be sure to find delight. Wishing you a restful, relaxing Easter Sunday.